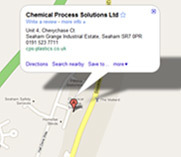 Chemical Process Solutions is one of the UK’s leading designers and manufacturers of Thermoplastic Process Plant. With many years experience working within the Aerospace, Semiconductor, Chemical, Pharmaceutical, Electronic and Water Industries, CPS can provide thermoplastic products and turnkey solutions throughout the UK and Europe. Products range from bulk storage and process vessels in Polypropylene and Polyethylene through to fully automated processing lines and chemical dispense systems. CPS Heat Recovery Systems are designed and manufactured for laboratories and cleanrooms, recovering waste heat from corrosive extraction streams to reduce energy costs and carbon emissions. CPS is able to offer a full design, manufacture and installation service to suit your individual process requirements, including civil works, controls and electrical installation.